Arab Tunisian Bank recently issued the following announcement. This Session is about Literary Text (Story) for readers aged 12 to 16 years old. The Candidate can deal with various subjects in the Art of the Story. A special prize will be awarded to the Historical Story which will treat one of the epics of famous people or the highlights of one of the fixed periods of history including the Arab countries. a) 40 to 80 pages (A4 sheet) for Writers and Men of Letters. The text will be presented in "simplified arabic" characters, font 14, line spacing 1.5. The margin will be 2.5 on all sides of the page. The text must be a personal work, excluding adaptation and translation, respecting the age range mentioned (12 to 16 years). The text must be the subject of a numerical entry presented in 5 copies, recorded on CD-ROM, in Word and PDF without mentioning the author's name. The candidate can only submit one text. Participation will be considered under the guarantee of the authenticity of the work by its author and its commitment to accept the conditions of the contest. In accordance with the conditions of the literary contest, any production which does not respect the rules and conditions specified above will be rejected. The organizing committee is responsible for the printing of the winning works and reserves the rights of the first impression. 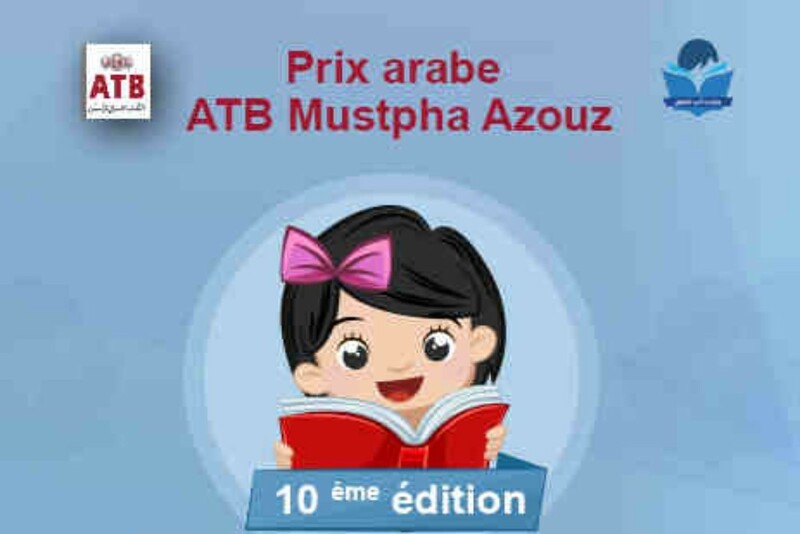 Contest entries must arrive no later than 20 November 2018 , by post at the following address, ATB, Arabic Mustapha Azouz Prize for Children's Literature, BP 196, El Menzah 6 - 2091. The application file must include a request for participation written by the candidate, mentioning Name and Surname, place of birth, profession, telephone number (fixed and mobile), postal address, email address, a photo recent identity and a short resume. The Award Ceremony will take place during the first week of April 2019 on the occasion of the World Children's Book Day. Want to get notified whenever we write about Arab Tunisian Bank ? Next time we write about Arab Tunisian Bank, we'll email you a link to the story. You may edit your settings or unsubscribe at any time.